People who are looking for the new iPhone SE, will not have to wait for too long. 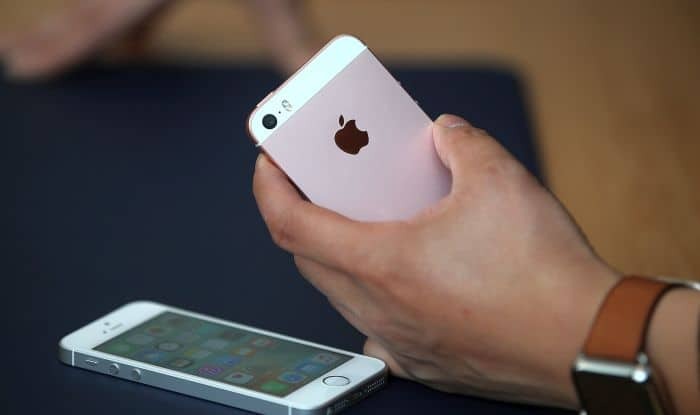 Beetel Teletech Limited, a Brightstar company said that it is all set to make the new iPhone SE available for the Indian market beginning from April 8, 2016. The four inch phone from Apple will be available on pre-orders from March 29, 2016 at 12:01 am. The statement from the telecom company said that it will be made available at more than 3500 retail locations across India. The new iPhone SE is the cheapest iPhone made so far and comes in two variants 64 GB and 16 GB. The iPhone SE can be called as a combination of the iPhone 5 and the iPhone 6 generations and has the design and size of the iPhone 5S and the specifications of the iPhone 6S. Apple said that the iPhone SE is the most powerful 4 inch smartphone ever. Beetel Teletech Limited is the subsidy of the US based Brightstar Corporation, who are the leaders of manufacturing , sale and distribution of communication and media devices. The enterprise has a strong has a strong distribution network in India and has more than 500 distributors and partners with 10,000 retailers with 28 warehouses across the country.